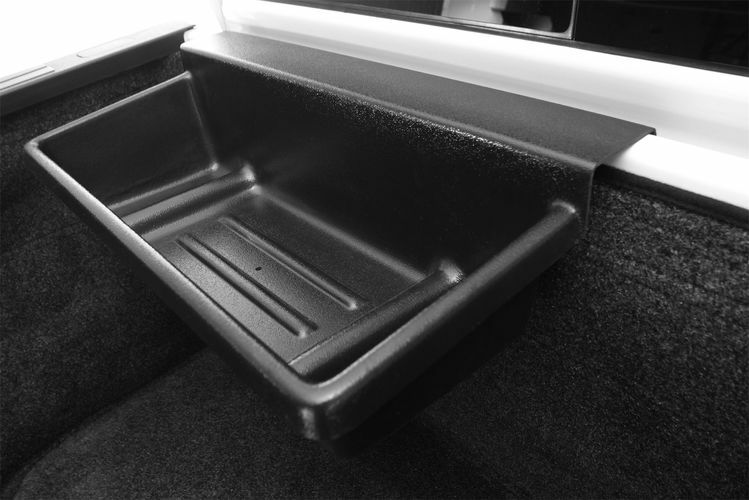 The Bulkhead Tray is a universal storage solution designed to keep loose items organized and off the floor of your truck bed. 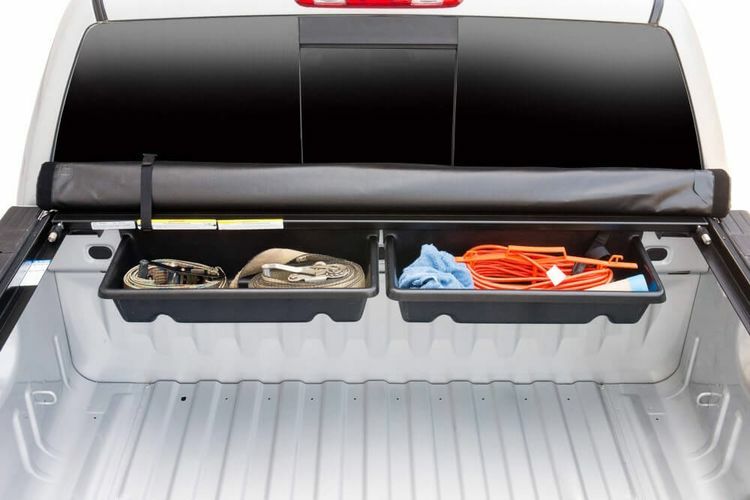 This convenient storage tray works great with any tonneau cover, and the adjustable leveling system secures a tight fit to the bulkhead of the truck bed. Tray dimensions: 24.5" x 6.5" x 12.5"